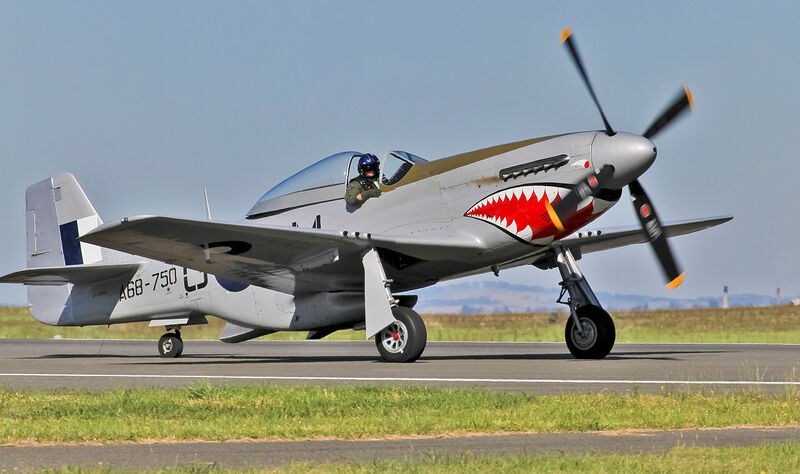 The North American Mustang Mk 23 “Duffy’s Delight” (serial A68-170, registered VH-SVU) of the Royal Australian Air Force Museum recently made its first engine runs since the engine was returned from overhaul. Mustang A68-170 painted as A68-750 at Avalon Airport in 2011 (Photo Johntorcasio (CC BY-SA 4.0)). The aircraft was fully restored in the nineties and made its first post-restoration flight on 17 February 1999. In 2012, the aircraft was grounded after metal had been detected in its Merlin engine’s oil screens. The Merlin was shipped to the UK for overhaul and was reattached to the airframe in late 2018. More ground runs will be necessary according to the RAAF Museum & Heritage Centres’s Facebook page but one can reasonably expect to see “Duffy’s Delight” back in the air soon.